What: On Wednesday, October 8, students, parents, teachers, and volunteers got up and got moving for safe walking across Orange County, celebrating International Walk to School Day. The safe walking movement marches on. Thursday, October 9, Orlando Police Department (OPD) and Orange County Sherriff Officers (OCSO) will get out and get cracking on motorists who fail to yield to walkers in marked crosswalks, again. Dubbed Operation Best Foot Forward,plain clothes officers will cross the street in marked crosswalks with high pedestrian activity and in close proximity of OCPS schools, LYNX bus stops, or high-crash corridors. For those motorists failing to yield to a pedestrian in a marked crosswalk, they may face a fine of $164 and three (3) points on their driver’s license. 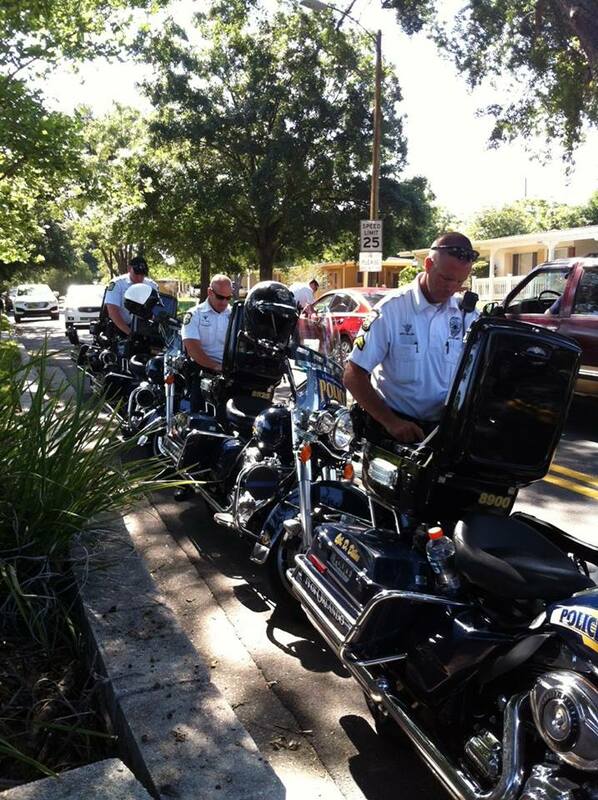 This week, OPD and OCSO will monitor nine crosswalks in the city and county. Six of them are on roads posted at 40 mph and higher where pedestrians have a 10% chance of survival if struck by a car. When Best Foot Forward launched in June 2012, only 1% of drivers yielded to pedestrians on roads posted 40 mph and higher. Today, it has jumped to 22% of drivers. Media are invited to the high visibility pedestrian enforcement operation and will have the opportunity to speak to drivers, officers and pedestrians about Best Foot Forward. This is the eighth high visibility pedestrian enforcement action since the launch of Best Foot Forward in June 2012. Since then, OPD and OCSO have issued more than 1,549 tickets and given over 3,402 warnings to drivers for failing to yield to pedestrians in a crosswalk. Enforcement is critical in boosting yield rates because vehicles-versus-pedestrian culture seems to flourish when unchecked. OPD and OCSO enforcement details, along with engineering improvements and education, are part of Best Foot Forward for pedestrian safety efforts to reduce pedestrian injuries and deaths by half in five years. By employing this “Triple E” approach of engineering, education and enforcement, yield rates have jumped from 12% to 48% on roads 35mph and less. Initiated by Bike/Walk Central Florida under the leadership of former Orange County Mayor Linda Chapin, spearheaded by Orlando Mayor Buddy Dyer and Orange County Mayor Teresa Jacobs, the Best Foot Forward coalition includes the City of Orlando, Orange County Government, Orange County Public Schools, Orlando Health, Lynx, Winter Park Health Foundation, MetroPlan Orlando, Florida Department of Transportation (FDOT), the City of Winter Park, Maitland, Winter Garden, Apopka, and towns of Eatonville and Windermere as well as police chiefs throughout Orange County led by Orlando Police Chief John Mina and Orange County Sheriff Jerry Demings. The mission is to reduce pedestrian injuries by half over five years. To learn more, visit www.iyield4peds.org.